Les Rumeurs de la Montagne Rouge, En Chœur, Convergent presents a soundscape compiled from field-recordings and piano improvisations made during the 2012 Quebec student uprising. The street sounds were a collective effort as part of community radio programming at CKUT fm. During this period of insurgence, Stefan recorded the Temp Libre EP at La Sala Rossa concert hall in Montreal. Joseph cut up and processed unused takes from those sessions using a sampler, tape loops, and digital processing, folding them into a deconstructed narrative of the events of the strike, manipulating the material into the composition found on the A-side. The B-side is a narrative composed of the unprocessed field-recordings manipulated to produce the A-side. Stefan Christoff plays piano in Montreal and is inspired by revolutionary ideas. Joseph Sannicandro is a writer interested in aesthetics and technology. He works with tape loops and field-recordings, exploring the potential of limitations. 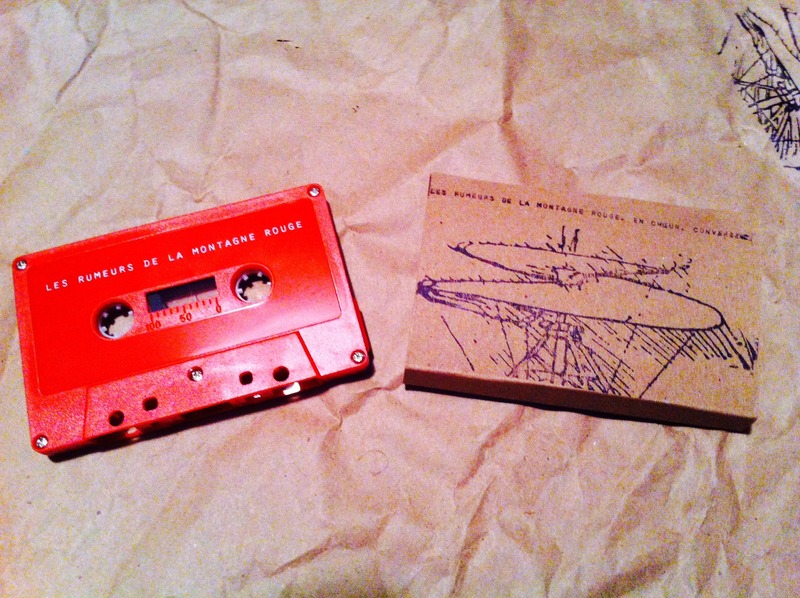 Howl Arts collective is releasing Les Rumeurs as a limited edition run of red cassettes. Each cassette is packaged in a recycled card-stock cover that is hand stamped with artwork designed by Stefan. The tape is accompanied by an exclusive digital download of the original 20 minute long sound piece, broadcast on CKUT fm’s Radio is Dead, as well as the never before heard “Réaction Circulaire,” an extended edit of the feedback loop featured prominently in the end of the A-side.